You can’t beat a handmade blanket – or handmade anything, really. 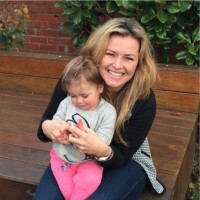 And handmade is at its absolute best when it’s for the wee little tots of the world. Check out this adorable Kalinka crochet blanket, which has a matching hanging mobile and nursery pillow. The Kalinka handmade crochet blanket has been made from cotton to be sized just right for use in a pram or cot – although I’m sure it’d make a cute floor blanket for babies too. 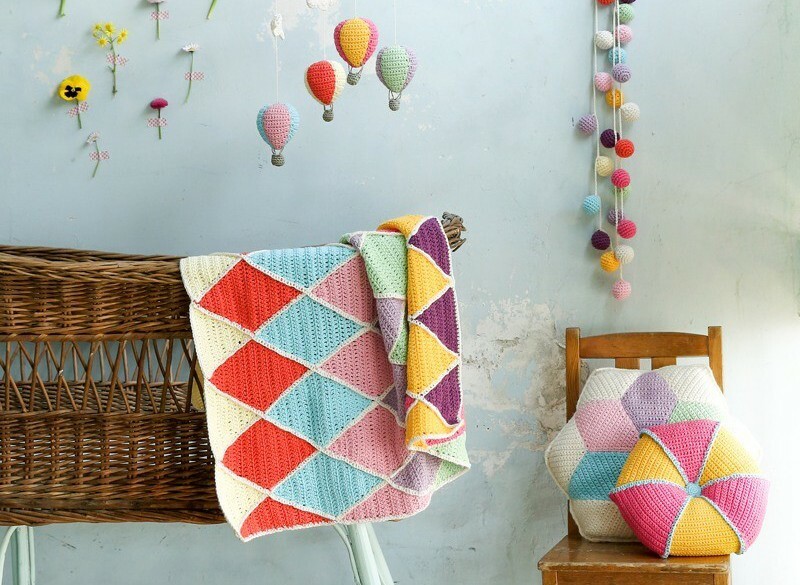 If the blanket isn’t adorable enough for you, take a look at the Kalinka hand crochet hot air balloon mobile. 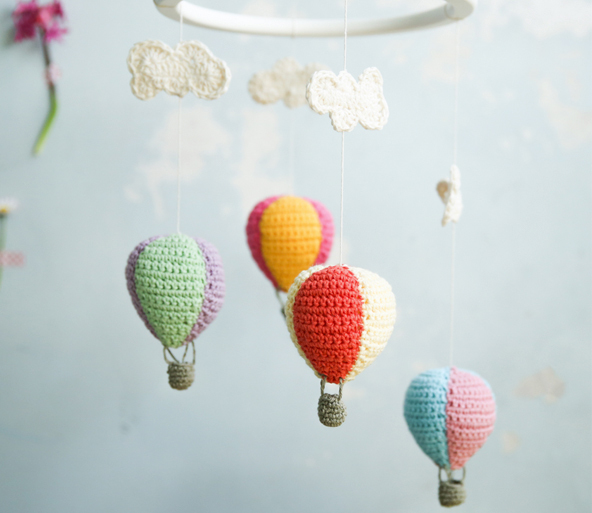 Four little crochet balloons and clouds are hung on a delicate thread to captivate your little one. It’s also crocheted using cotton, while the hanging hoop is made from wood that’s been painted white. Now, because the blanket and balloon mobile also has a matching pillow – called the Kalinka handmade bright pillow – we couldn’t finish up without mentioning it. Why try and find matching décor yourself when we can suggest some for you, right? The pillow is equally cute and equally colourful. All three items can be found online at Little Goldie. The blanket is £48, the mobile is £60 and the pillow is £30. And if you care to browse other blankets, head to Babyology’s 10 of our favourite baby blankets post.